It’s been a pretty strange winter, weather-wise. An overly warm fall turned into a very mild November. And then all of a sudden, the snow rolled in by mid-December, after what seemed to be spring-like temperatures. By the time Christmas and New Years hit, we were plummeting into single digit and negative temperatures. January in New England began to feel like Minnesota. Lucky for me that I had already completed this project – a new cardigan that I can wrap myself in on those bitter cold days. This was my second Seamwork pattern and again I was amazed by how fast I was able to sew this project up. I used a fairly thin sweater knit fabric that I had envisioned would be perfect for a large cardigan just like this one. The pattern lived up to most of my expectations, however I was surprised at how huge it ended up being, even making the XS size. I even tried to take the shoulders in a bit so they didn’t droop down so much, but it still ended up a bit too large in that area. The only extra notion you need is this clear elastic, which I was lucky to have bought for another project (that I haven’t started yet). It stabilizes the shoulders nicely, especially since this fabric was not too thick. 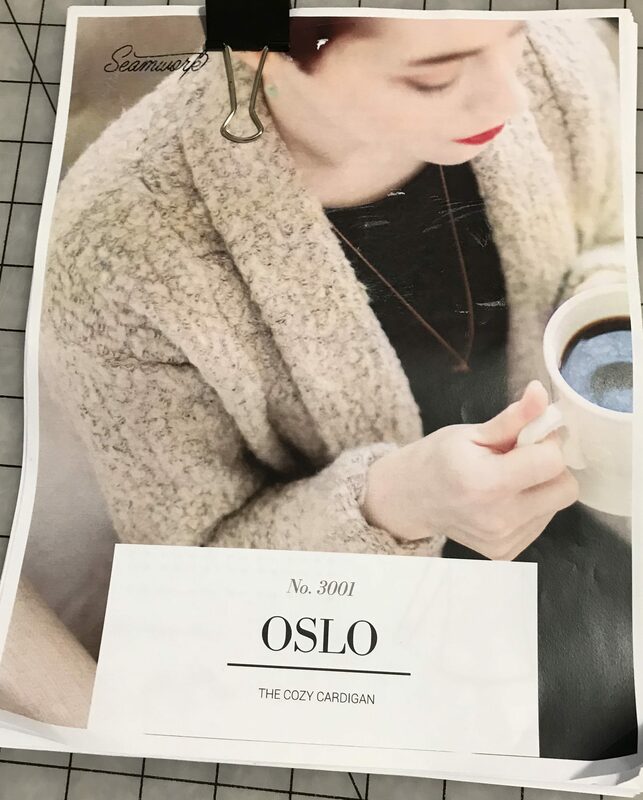 Categories: Sewing Projects, Uncategorized | Tags: homemade cardigan, homemade clothes, homemade sweater, Oslo by Seamwork, Oslo cardigan, Seamwork patterns, Sewing, sewing with knits, Sweater knit | Permalink. 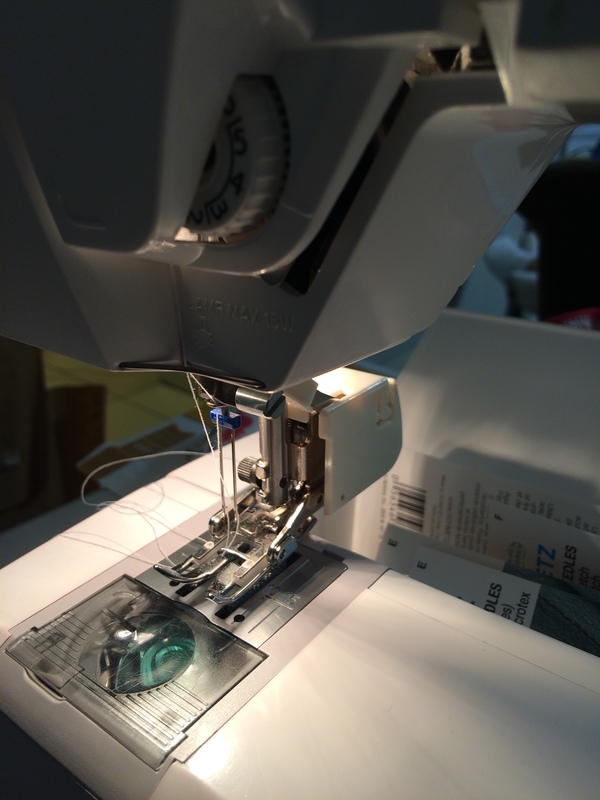 Hello sew blog my old friend. This past summer, running was my life as I was training for my first marathon (as seen in my other blog). 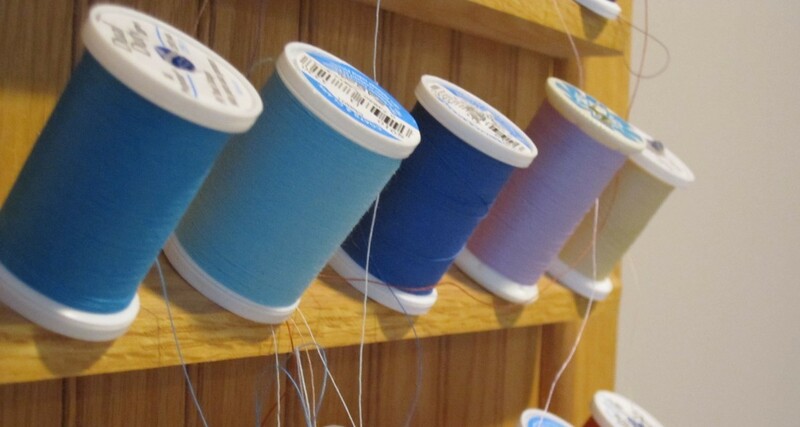 It was almost impossible to find time to sew. 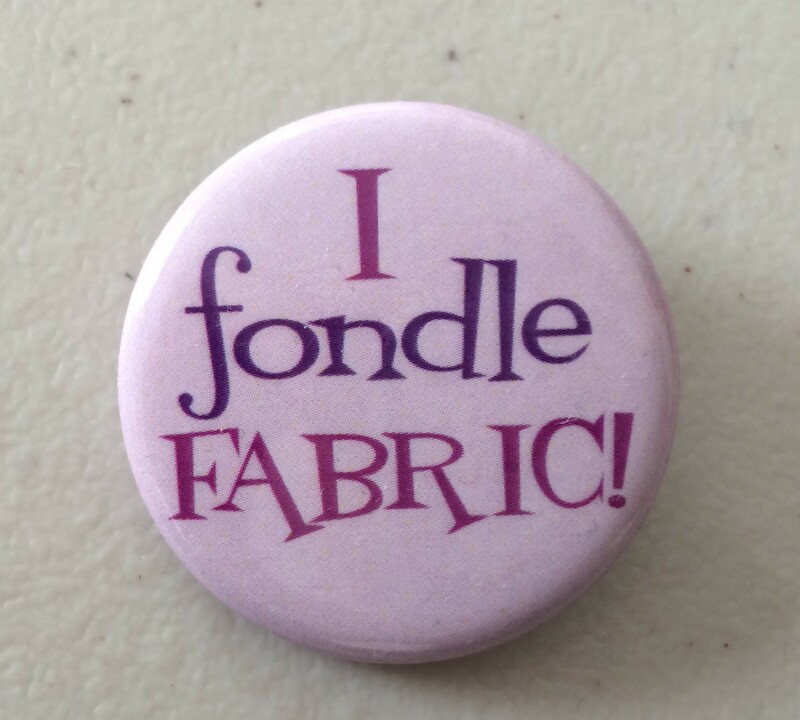 The good news is that I’ve been sewing quite a lot in the last month, so I’m hoping to be able to carve out some time to write about my projects. 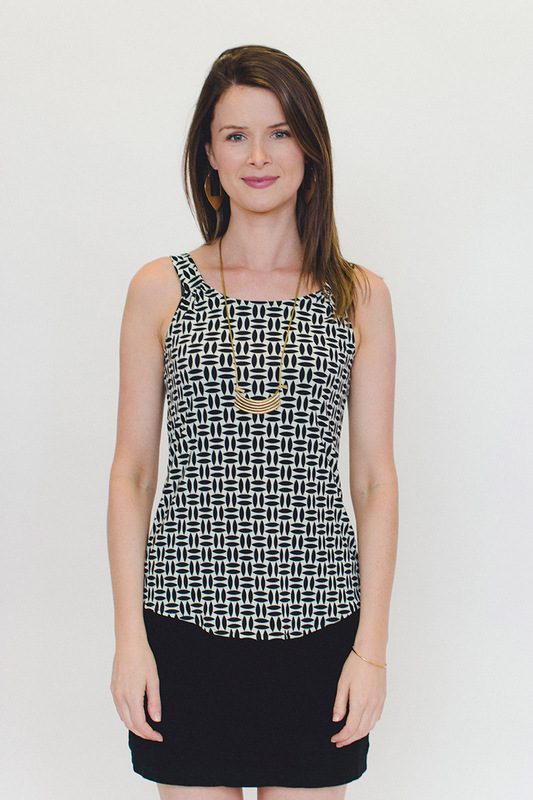 Amidst all the training, I was actually able to complete one project over the summer – the Aurora tank top by Seamwork patterns. On top of everything else, I also got a new job this September, so I never got around to writing about this project. 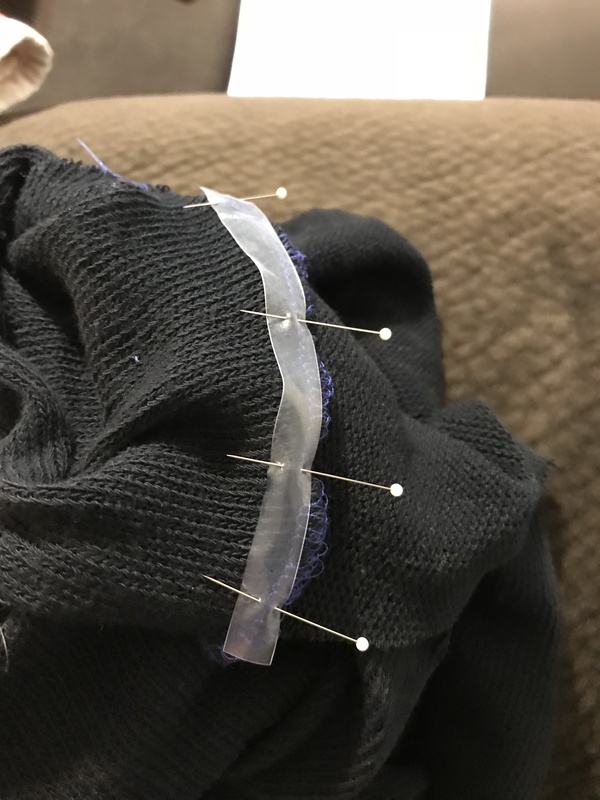 I had picked this particular pattern due to it’s simplicity – only 3 pieces to cut out and Seamwork patterns are known for their quickness to assemble. All are supposed to take under 2 hours. I worked on this in pieces of time that I could find here and there, but I’m pretty sure the 2 hours is accurate. The walking foot! It was kind of a pain to put on as I had to take a few things apart to install, but worked pretty well in the end. Categories: Sewing Projects, Uncategorized | Tags: Aurora by Seamwork, Double Needle, Homemade casual wear, homemade clothes, Homemade tank top, knit tank top, Seamwork patterns, Sewing, striped tank top | Permalink.